Passenger traffic growth for the month was broad-based with traffic to South East Asia, North East Asia, the Middle East and Europe all increasing by at least 10%. Following the addition of more flights to and from Chinese cities for the Lunar New Year holidays, passenger traffic between Singapore and China rose 13% in February to more than half a million passengers. China was Changi Airport’s second largest source market for the month after Indonesia and ahead of Malaysia, Thailand and Australia. 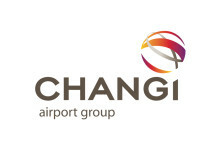 As at 1 March 2016, more than 100 airlines operate at Changi Airport, connecting Singapore to some 330 cities in about 80 countries and territories worldwide. With more than 6,800 weekly scheduled flights, an aircraft takes off or lands at Changi roughly once every 90 seconds. New Services – On 12 March, Air Mauritius launched 3x weekly non-stop flights between Singapore and Mauritius, establishing Singapore Changi Airport as its Asia hub. This is a strategic project under the Mauritius Prime Minister’s Office which aims to position Mauritius-Singapore as an “Air Corridor” between Africa and Asia. Prior to this, the carrier operated a weekly one-stop flight to Singapore. New Stores – Old Town White Coffee opened its first airport outlet in the departure level of Terminal 3. In the transit areas, luxury brand Michael Kors and children’s apparel and toy store Kaboom commenced operations in Terminal 2 and Terminal 1 respectively. Changi Airport is the world's sixth busiest airport for international traffic. It served a record 55.4 million passengers from around the globe in 2015. More than 360 retail stores and 140 F&B outlets are situated across three terminals to cater to passengers and visitors. With over 100 airlines providing connectivity to 320 cities worldwide, Changi Airport handles about 6,800 flights every week, or about one every 90 seconds.